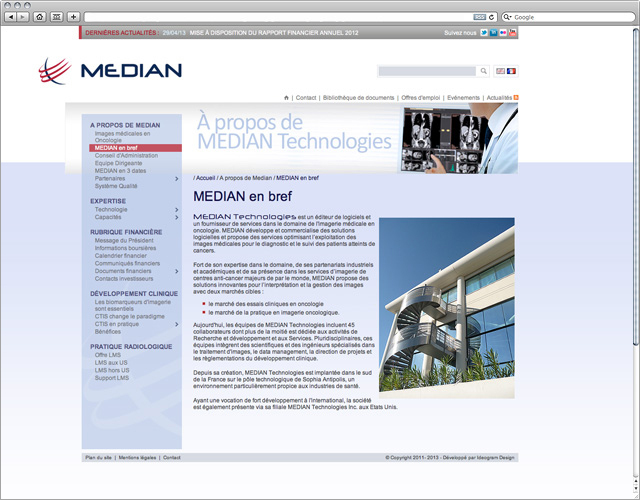 The website of Median technologies was created by our team and put online in December 2009. 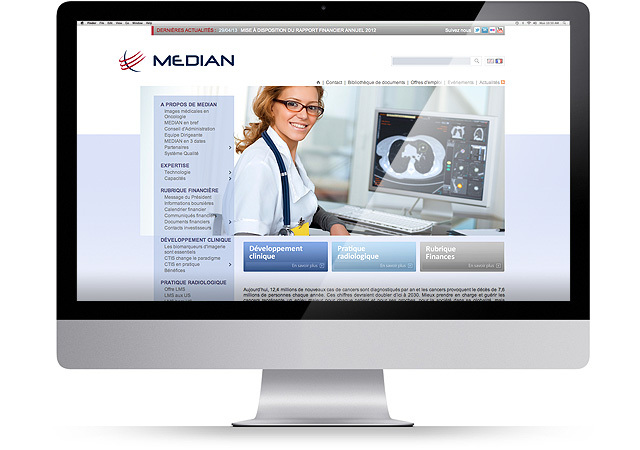 In 2012, Median Technologies updated the style of their communication and entrusted us to update the pages’ structure for the new website. 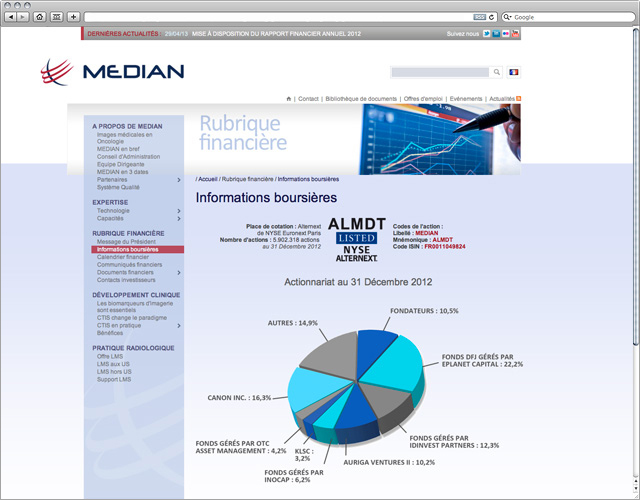 The content of the website was kept so that our team could focus on the new structure. 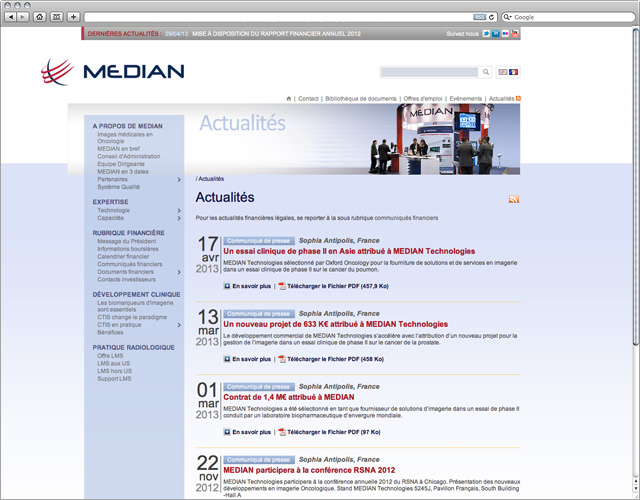 In addition to this, to satisfy additional requirements, new modules were developed and added to the existing ones. Module to share projects with restricted access.